So far the only decaf specialty coffee that really feels like specialty coffee. Colombia Decaf is a blend of 11 small farmers. A sweet, acidic, nutty and very balanced coffee. 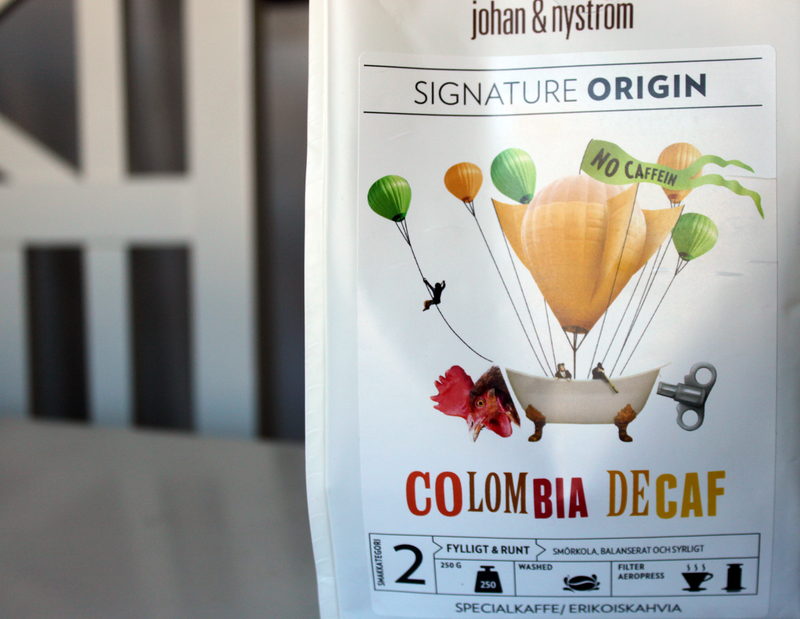 Given the low price per bag, it is a must for the coffee lover. Extremely easy to brew flawlessly with pour over and requires nothing more than a standard recipe. 1) 40g bloom for 30-35 seconds, stir with a bamboo stirrer to get all coffee moistened. 2) 225g water in a circular flow (this includes 40g blooming). You start the flow from inside and end circularly on the edge. Slowly pour, so the total brew time lands in 1 minute and 30 seconds, max 1 minute and 55 seconds. Aeropress – A more balanced cup than Pour Over, the acidity is not as prominent as in pour over, but more than Espro. Espro – The coffee is more powerful and because the Espro doesn’t use a paper filter (usually), you get a more rich/nutty coffee. Despite this, some acidity remains, but not as much as the other methods. Pour Over – Sweet, acidic and almost similar maple syrup. So there is good decaf? When will you review coffeevine or something else I can buy?